Solves common misfire and rough running issues. A faulty ignition coil pack can cause your Volkswagen Jetta, Beetle, or Golf 2.0 to misfire. Replacing your faulty ignition will get your car running perfect again. OEM Quality, Fit, and Finish (NOT a genuine VW part). 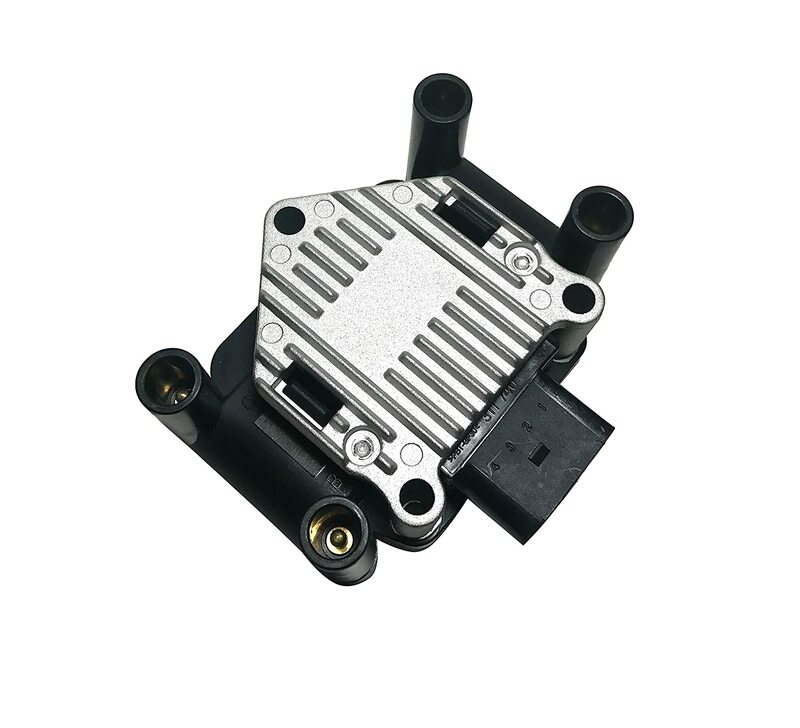 While this is not a genuine VW part, this ignition coil pack is a direct replacement for the factory ignition coil on your Golf, Jetta, or Beetle 2.0 Each ignition coil is built to surpass factory specifications. 2 year or 24,000 mile warranty. Each of our ignition coils includes a 2 year warranty. If an ignition coils on your Volkswagen Golf, Jetta, Beetle 2.0 during the warranty period simply contact us for a replacement. If your Volkswagen has begun to misfire, idle erratically, or hesitate under acceleration a bad coil pack could be to blame. By providing the proper spark to the spark plug all of these running issues can be resolved. This AA Ignition Coil Pack is a direct replacement for the factory Volkswagen coil. Made by an original equipment supplier (OEM) these coil packs surpass the factory quality and will get your engine running how it should be; smooth and fast. 24 month or 24,000 mile warranty. The term Volkswagen is used in this listing only to identify the vehicles this ignition coil fits.